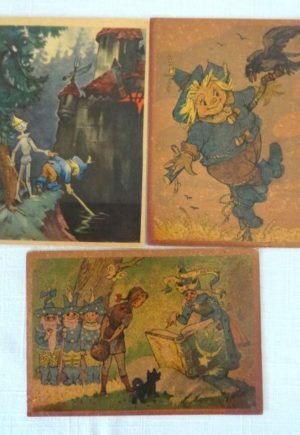 View cart “SHADOW OF OZ Tarot Deck Based on Wizard of Oz Characters New in Box” has been added to your cart. 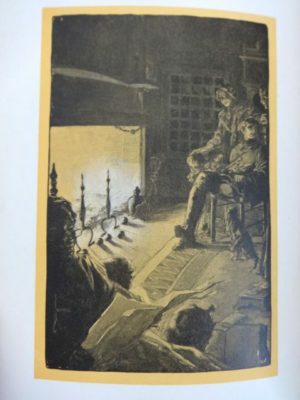 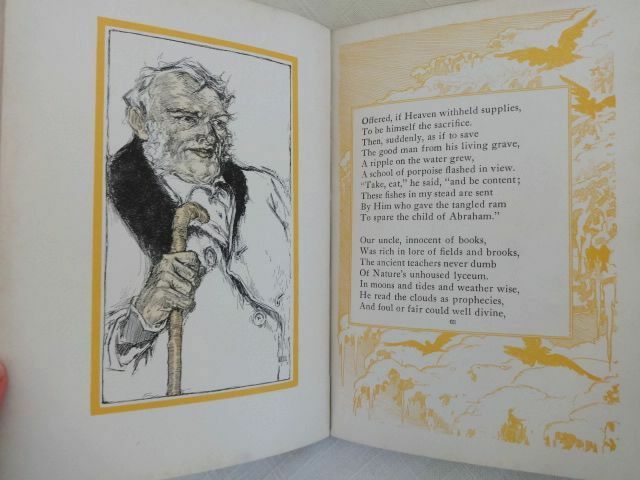 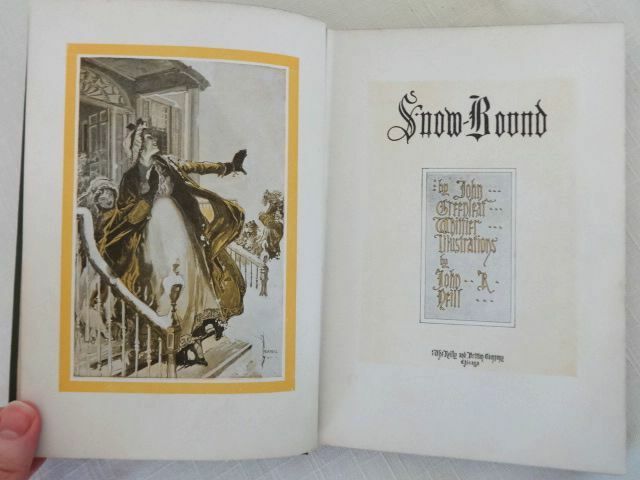 Here is a nice copy of Snow-Bound, a book by John Greenleaf Whittier and illustrated by Wizard of Oz artist John R. Neill. 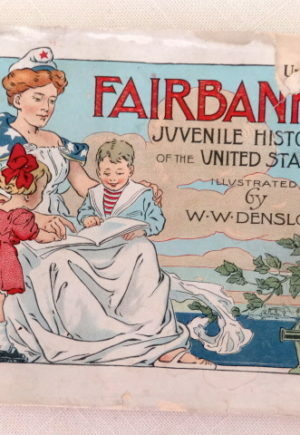 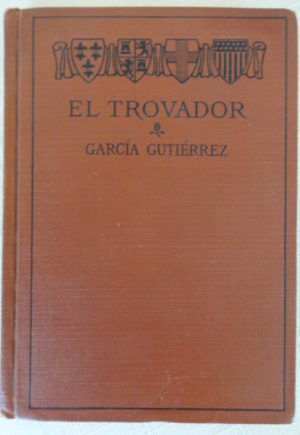 Published by Reilly & Britton, copyright 1909. One of a series of four poetry books illustrated by Neill: Snow-bound, Hiawatha, Evangeline, and The Raven. 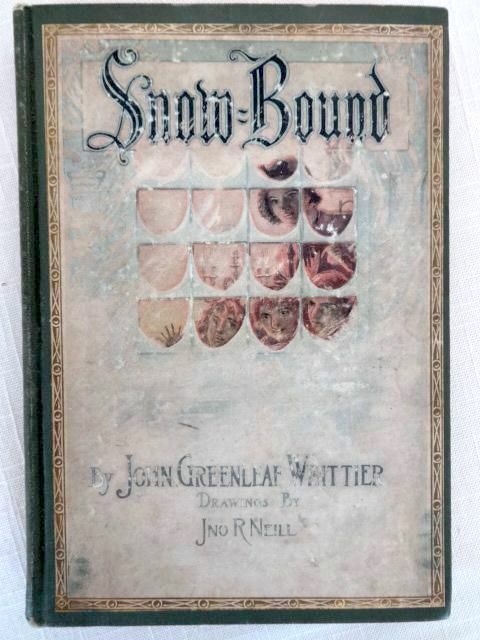 These are fabulous books, with hauntingly beautiful and elaborate illustrations; some of Neill’s finest work. This one is lavishly illustrated in amber on every page, using thick, expensive paper. 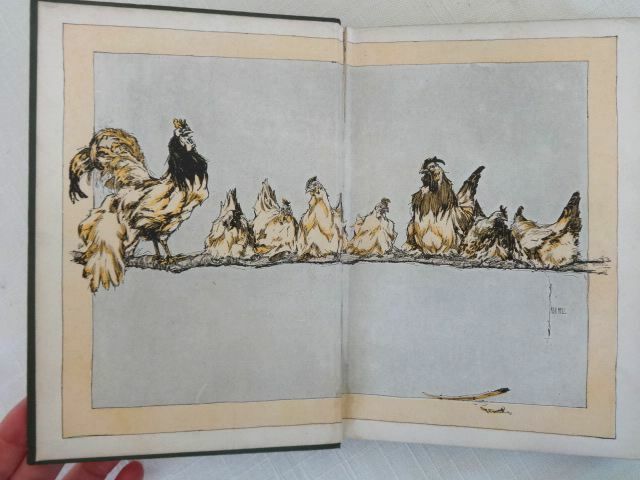 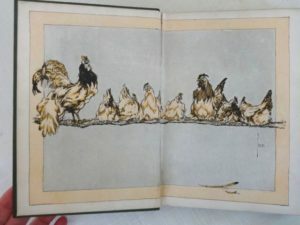 Wonderful illustrated endpapers. Cover has a full-color pastedown, with gold stamping on the spines and covers and gilt top edge. Book is in near very good condition. 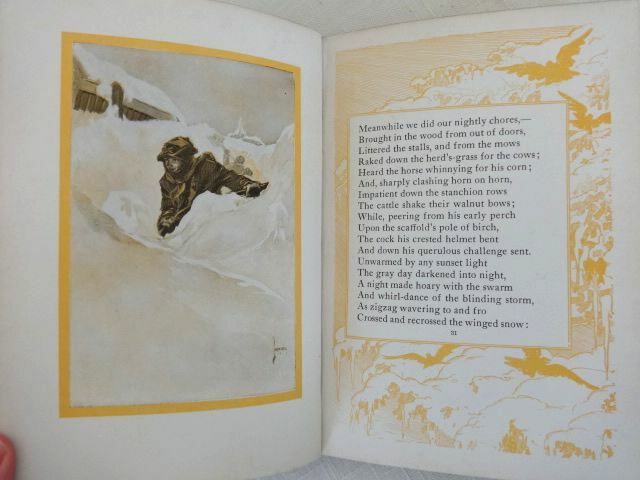 Cover pastedown is has some scuffing and soiling, corners and spine have slight wear at ends. 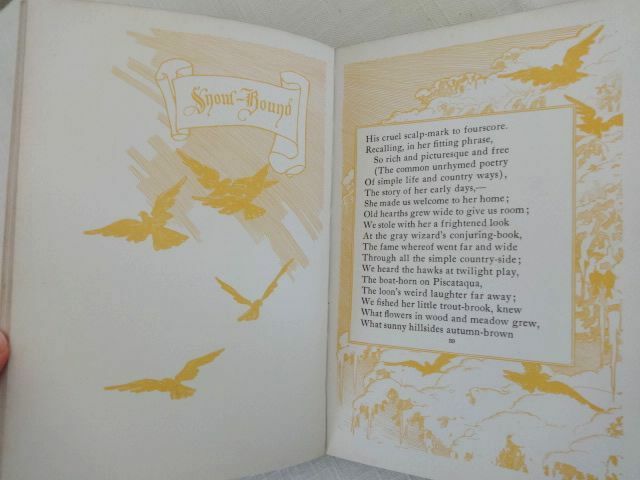 Inside, front hinge starting to separate a bit and lightly stained, half title with bookseller’s pencil notation, text pages are very good w/o writing or tears. 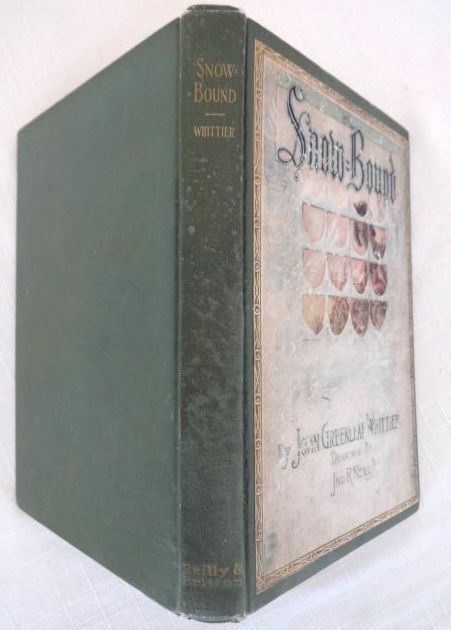 Binding still tight. 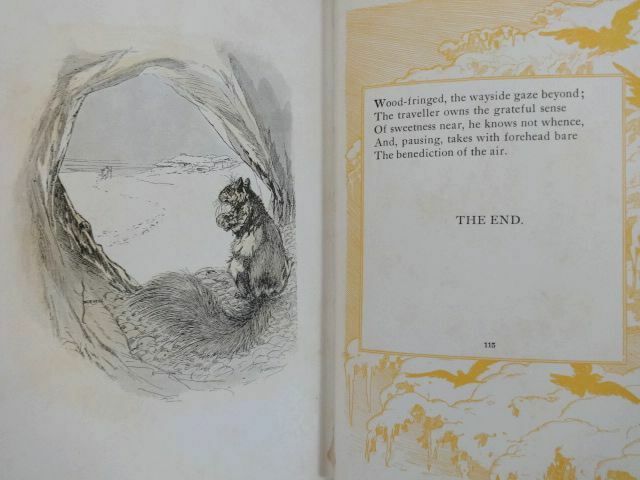 A stunning example of Neill’s non-Oz work that belongs in any booklover’s collection.